Dr. Katz, Professional Therapist packed up shop on Comedy Central back in 2002, but because the world has just become increasingly unstable since, the titular counselor is poised to make a return. 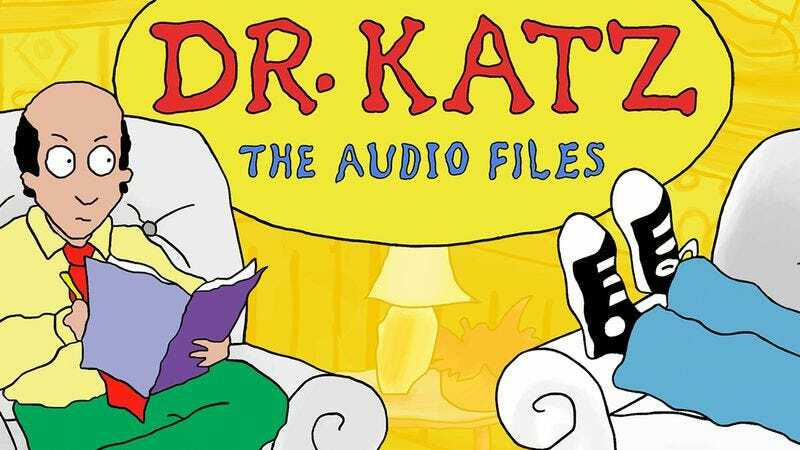 Dr. Katz: The Audio Files will hit Audible Channels on June 8, when the good doctor will dispense therapy to a new slew of celebs. The audio series is set 20 years after the cult animated series, but not much has changed—Ben (H. Jon Benjamin) is still a slacker, and despite being middle-aged, still lives with his dad, who continues to try to help Hollywood players manage their neuroses. The celebrities who will play themselves while seeking therapy include Sarah Silverman, Ted Danson, Ray Romano, Margaret Cho, Weird Al, Maria Bamford, Pete Holmes, Dana Gould, Emo Philips, Ron Funches, and Andy Kindler. Episodes will be available to Audible and Amazon Prime members, or for sale to non-subscribers for $4.95 a month.